Intercollegiate Athletics at The University of Alabama hosted the annual UA United Way Campaign, which raised its largest donation total in campaign history. The theme of the employee giving campaign this year was “Champions United: A Tradition of Caring, Serving, and Giving,” as it aimed to promote people’s safety, health and well-being development within the community. The campaign raised a total of $469,483, surpassing its original goal of $385,000 for 2018. 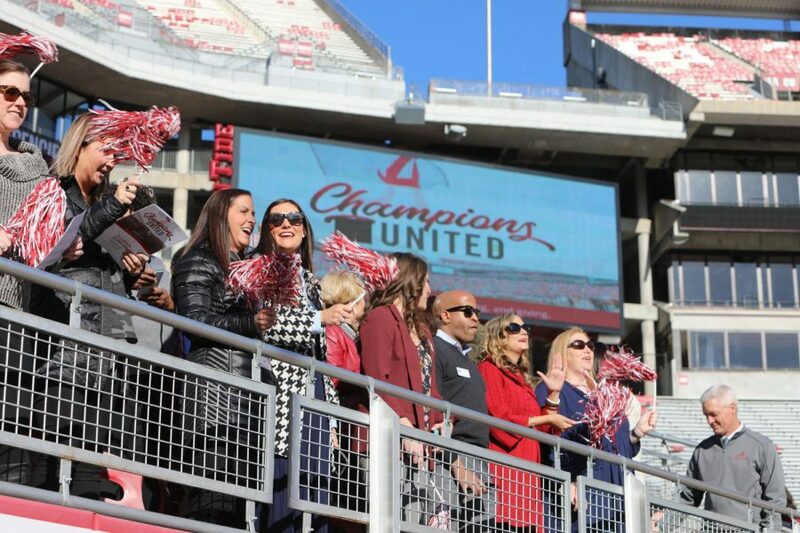 A celebration for the fundraiser’s triumph took place on Wednesday, Nov. 28 at 2 p.m. at the North Field Suite at Bryant-Denny Stadium. 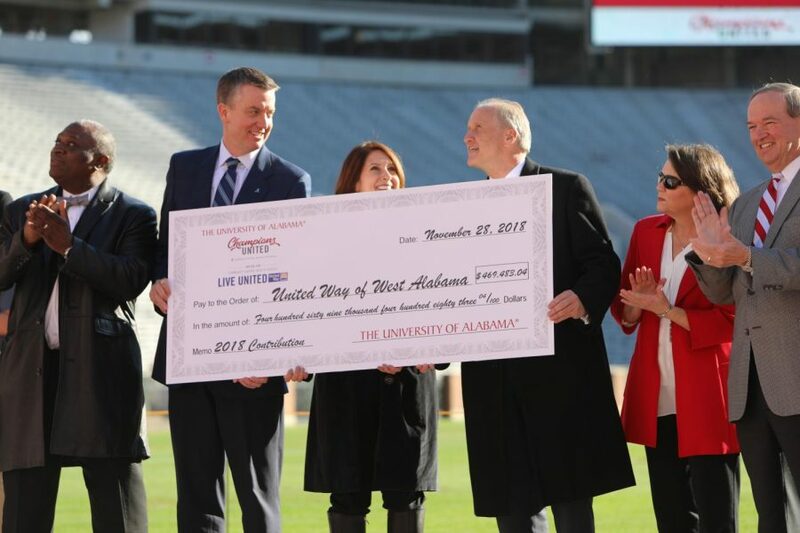 The University’s employee contributions of over $450,000 will go to United Way of West Alabama. Shannon Robinson, a junior majoring in news media, said the University excels in displaying a love for service. “This University has done a great job at exhibiting a service heart and a giving spirit, and I feel as though this organization can help change the lives of so many people,” Robinson said. United Way of West Alabama, which has 26 partner agencies, works to strengthen health, education and income stability in the community. “UA has done a great job at upholding traditions of serving and giving,” said Maya Turner, a senior majoring in athletic training.